Looking For Number Talk Strategies? We Got You. One of the best strategies for helping your kids develop number sense is by engaging in Number Talks—a pedagogical strategy where kids are required to work out a math problem mentally, without written work, and then use a subtle hand gesture to indicate that they have found a solution. These short, daily exercises teach your kids to play around with numbers, engage in creative problem solving, express their thinking symbolically and in words, and develop flexibility in how they think about mathematics. Number Talks work best when students learn to use subtle and specific hand gestures to indicate if they have solved the problem or if they are still thinking. This strategy prevents students from raising their hands in the air when they have found a solution, which can be intimidating and anxiety-inducing for nearby students. 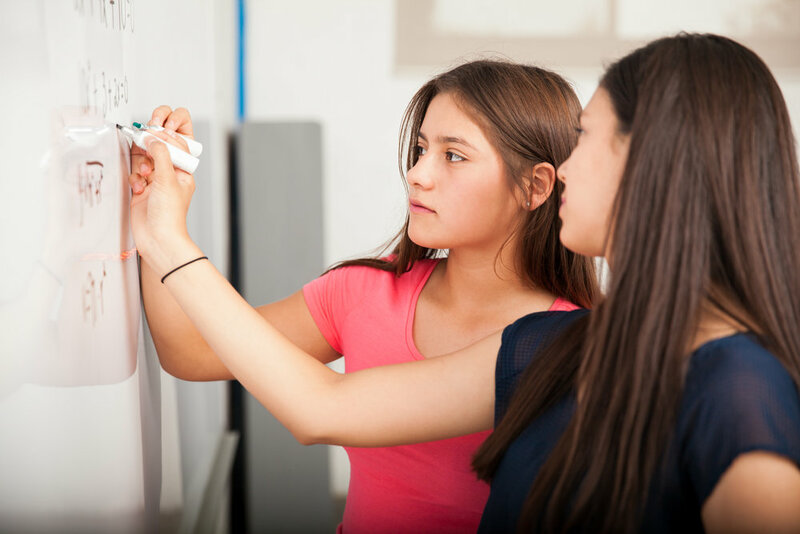 Students often hold a false belief that there is only way to solve any given math problem. But, in reality, mathematics is highly flexible and there are multiple ways to think about and work with numbers. By engaging with and thinking about visual mathematics, students can develop a flexibility of thinking that applies to all areas of mathematics and beyond. A great way to help kids develop number sense and flexible thinking skills is to have them engage in number "stretching"—the practice of manipulating numbers in a variety of ways. "As they contemplate solutions, students’ minds flow through a range of interrelated number concepts: the relationship between addition and subtraction, the pairs that make ten, ordering numbers on the number line, conservation of number, and plenty more. They are building fluency while exercising number sense; they are accessing number concepts while practicing basic facts. In short, they are becoming numerically flexible" says John S. Thomas' in his blog Improving Fluency and Number Sense with Simple Number “Stretching” from Edutopia. An example of a number "stretch" activity would be asking students to come up with as many creative strategies as possible for subtracting 13 from 25. 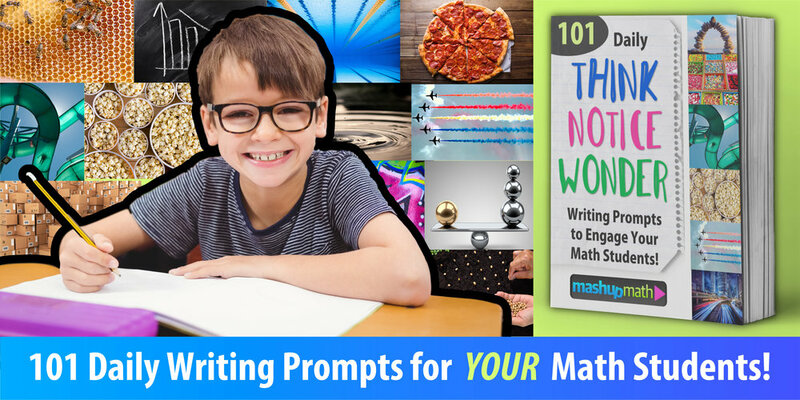 Need help getting your students writing about math? Do you have more ideas for using Number Talks in the math classroom? Share your thoughts in the comments section below! 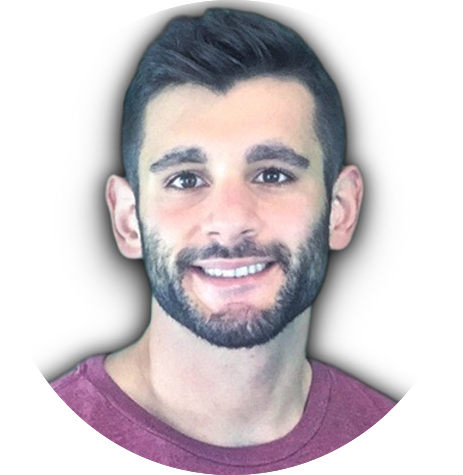 Anthony is the content crafter and head educator for YouTube's MashUp Math and joins Jo Boaler as an advisor to Amazon Education's 'With Math I Can' Campaign. You can often find me happily developing animated math lessons to share on my YouTube channel . Or spending way too much time at the gym or playing on my phone.